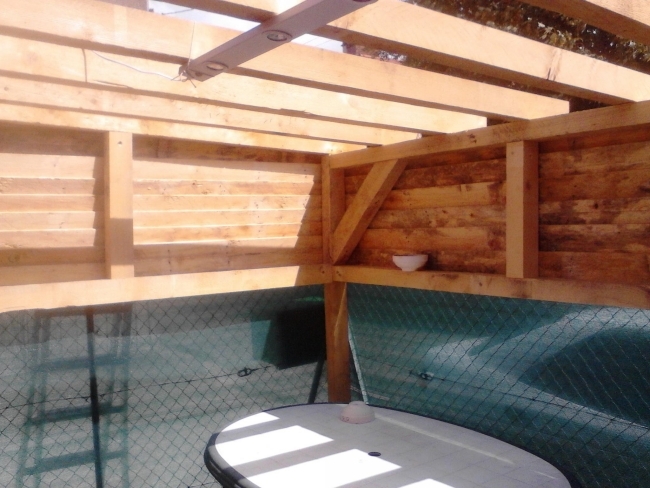 Wooden pergolas are just getting more and more famous with every passing day especially in west. This is basically a garden feature forming a shaded walkway or a specified are for sitting purpose. Vertical posts or pillars that usually support cross beams and a sturdy open lattice, upon which wooden vines are trained. The word has its roots in the ancient Latin language. 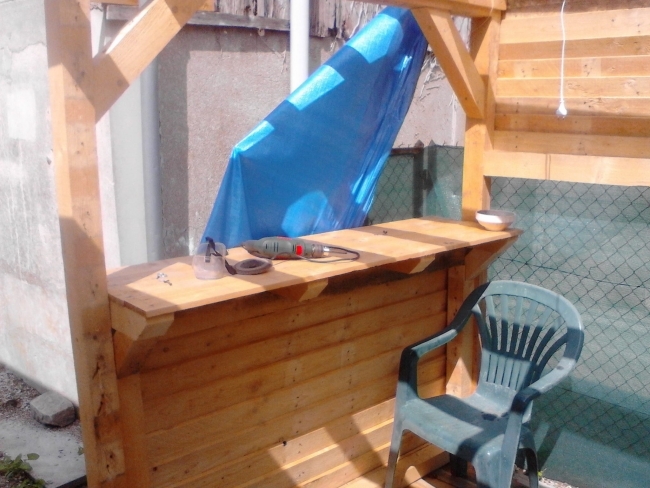 Here in this article we would be discussing about how to make a pergola with wood pallet. Being a DIY article it would provide you with plenty of useful tips and practical measures to be taken during the process. 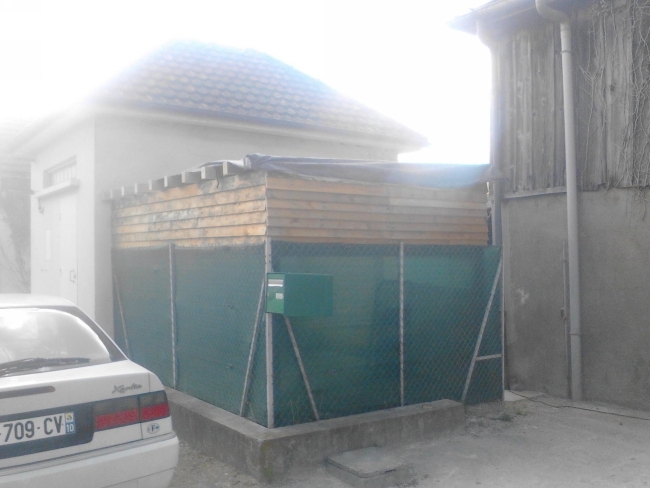 After collecting a bunch of wooden pallets, we have first of all dis assembled them nicely. Each and every pallet plank is separated and then very well sanded to make the wood look shiny and also smooth on texture. After taking the basic measurements now comes the segment of making the basic frame. First of all we have erected the vertical posts or the pillars all around, these vertical pillars are designed in such a manner that they would ultimately support the cross beams right above them. 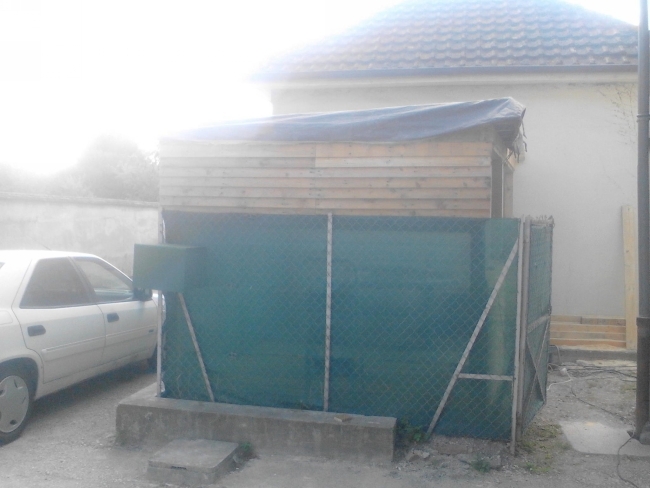 The wooden vines made using the wood pallet planks could be seen here in the picture. 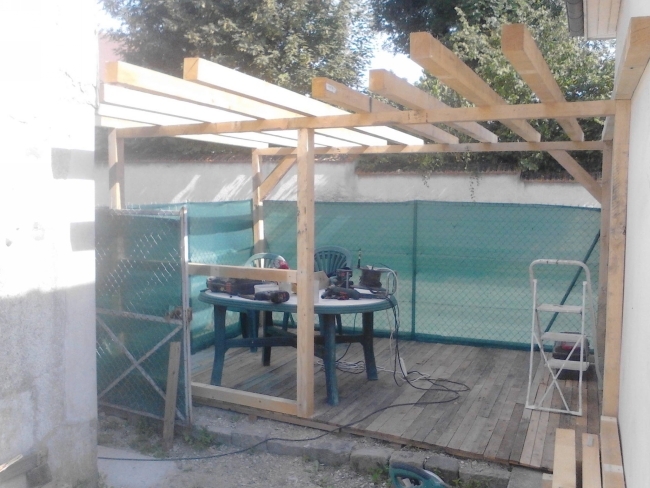 This is another angle of the basic frame of the pergola. After the erection of vertical pillars, the cross beams are made and cut in such a way that they cover both the ends. So the lower pillars are a support for the upper beams. 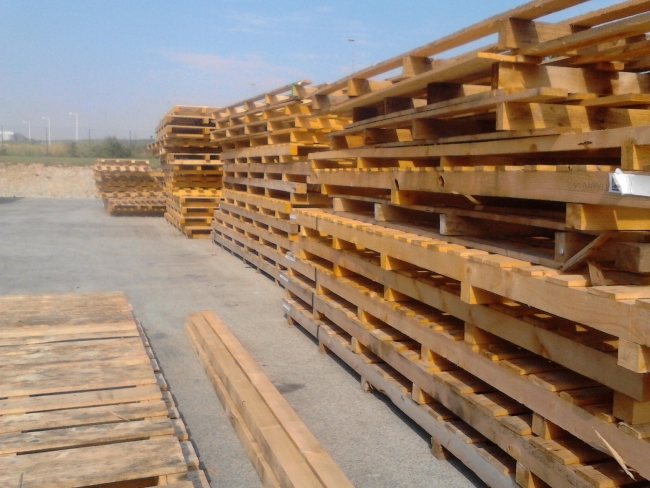 On one end we have made a conventional table where straight pallet planks are fixed from the bottom ranging upwards, and on the top a flat wooden sheet is prepared to make it a full fledged table. 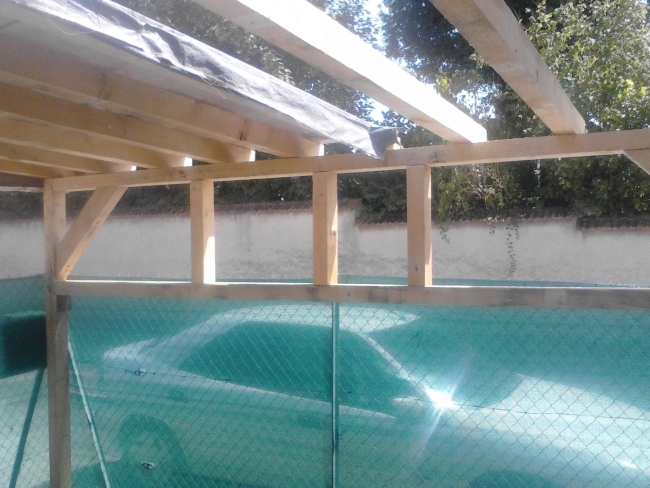 Pallet planks are supported by the vertical beams and they are nailed and screwed up. 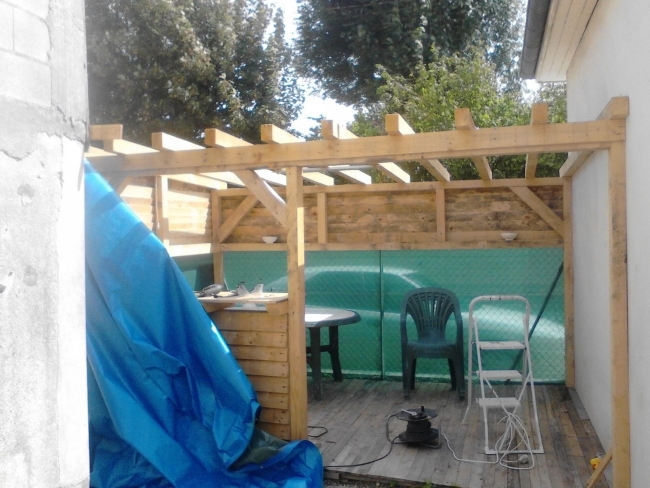 After we are done with the basic frame, we have layered a coating of adhesive glue all along the pergola so that the planks stay intact and joined firmly. Despite the support of pillars they need some additional bond so that they stay erect tightly. 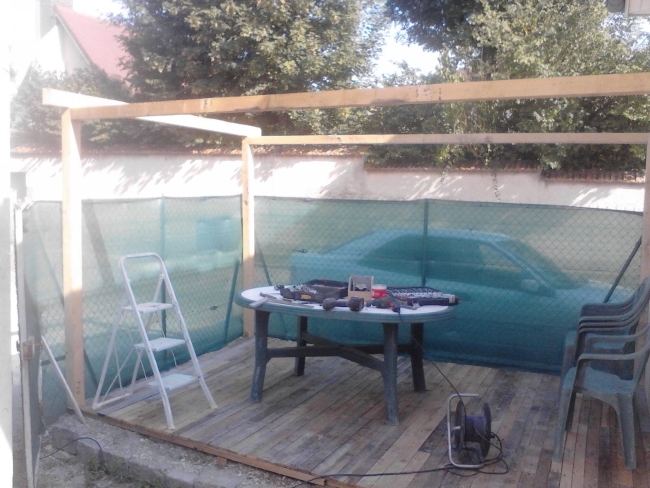 After being done with the construction of pergola frame, we have wrapped it up with netting that is usually used in outdoors so that the substances might take their time to settle down and the frame is left intact. This is the best way to let the structure dry out for a while. And after the drying out process, we have filled in the gaps with cut to size wooden planks gained from the pallets. From one side there is a huge passage way or door way, the opposite side is turned into a wooden wall by filling all the gaps with cut to size planks, and along with the door way we have also prepared a conventional table where you could serve some drinks or tea. 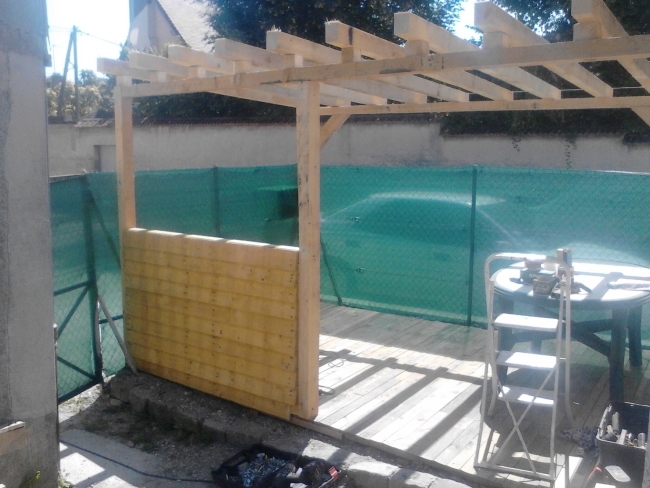 You are done with a traditional pergola made with the pallet wood. You can still cover the roof gaps but it could also be left the way it is right now.